Description: A special release by Bridge Brewing, To The Max is a pale ale that is brewed to help raise awareness and money for the BC Cancer Foundations’ Ride to Conquer Cancer. For every bomber or glass sold, Bridge will donate $1.00 to a team of local cyclists called “To the Max”. Tasting Notes: This brew was a decent pale ale, with a solid malt base and enough hop bitterness to keep it West Coast appropriate! It was a tad on the bitter side and not as balanced as I would have liked, but its still a good brew and for a good cause! Get some while supplies last! Description: The latest offering from Category 12, which is part of their summer releases (alongside their Insubordinate Session IPA), the Waveform is brewed in the conventional Belgian-style of wheat ale. Wheat malt, East Kent Goldings hops, cardamom seeds and grapefruit peel combine to create a refreshing ale perfect for the summer heat! Tasting Notes: This beer put me in mind of Blanche de Chambly, another great and refreshing Witbier (aka. “white ale”). Smooth, subtle, varied in flavor profile, and with a nice, refreshing finish, this beer is definitely a good summer ale. The addition of cardamom spice and citrus peel was definitely a nice addition, enhancing what is already there thanks to wheat malt and Belgian yeasts. Description: This apocalyptic-themed ale features a combination that is growing in popularity of late – the fusion of Pacific Northwestern and Belgian-style ales. In this case, pale malt and a very generous dose of Northwestern hops co-mingle with strains of Ardennes yeast to create a beer that is very powerful, but strangely balanced. Tasting Notes: I was a little wary of this beer to begin with. An Imperial IPA that embraces elements of an extra strong Belgian ale is sure to be powerful and potentially overwhelming, maybe to its own detriment. But I really like the way that Pacific Northwest hops (Cascade, Centennial and/or Columbus for sure) play well with Belgian flavors. You’ve got the citrusy and tropical fruit flavors of of a Northwestern IPA, which are nicely balanced by the spicy, citrusy flavor of Belgian yeast. And the strength, while considerable, doesn’t intrude on the flavor. Things finish smoothly and warmly! Description: Part of Four Winds Standards lineup, this IPA is brewed in the tradition of Pacific Northwest American IPAs, combing a strong pale malt base with a generous dose of West Coast hops. This beer was also the silver medalist for the 2014 B.C. Beer Awards in the category of North American IPA. Tasting Notes: I think we have another contender for Best IPAs. Not surprising, considering that Four Winds has consistently impressed me with their wares. And this one was certainly in keeping with that, being crisp, malty, citrusy, grassy, herbal and piney, and all the while remaining very drinkable and refreshing. It basically does everything an IPA should without being overstated or overwhelming. 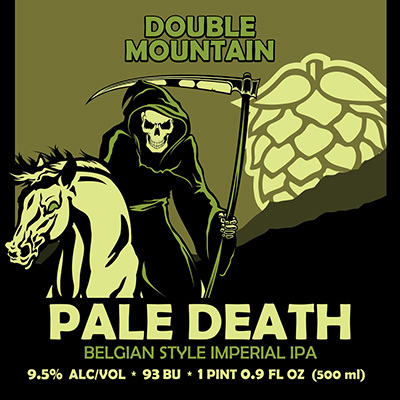 Description: This beer, brewed in the Belgian Abbey tradition of Dubbels, is part of the brewery’s regular lineup, and was also the silver medal winner at the 2012 North American Brewing Awards.. A strong, dark malts base and mild hops are combined with Belgian yeasts and bottle conditioned to create a particularly sweet, malty brew of respectable strength. Tasting Notes: Sound Brewery first became known to me thanks to the Advent Beer Calender, and I was pleased to find more of their wares being offered locally. And this Dubbel had all the right qualities to it, with notes of brown sugar, molasses, dark fruit, and some yeasty, malty goodness. However, it also had a crisp and tart quality that reminded me of cider, and made this end on the lighter side of things. Good all around, and a nice follow-up to their Entendez-Noel. 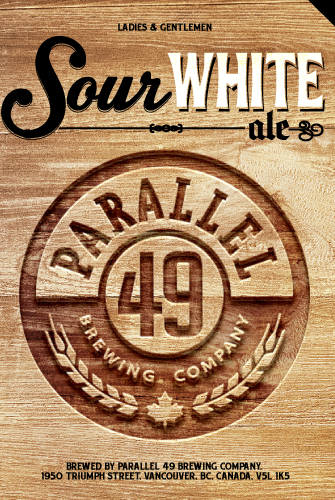 Description: Yet another interesting, experimental P49 brew, this one is part of their barrel-aged series. A wheat ale base is aged in French Chardonnay barrels for over a yea in order to create a sour white ale that boasts the flavors of a sour ale and an oaky, tart Chardonnay. Tasting Notes: Again, this was an interesting experimentation by the good folks at P49. I have to admit, aging a sour ale in Chardonnay barrels was a good way to achieve symmetry with flavor profiles. However, it was still a bit on the light and the tart side of things for me. If I’m going sour, I want some serious fruity esters and a strong malt profile to back it up! Tasting Notes: This IPA definitely benefited from the addition of a little Brett, which I didn’t think would work, to be honest. And the strong herbal, citrus and grassy hops were well balanced by the crisp malt base and the subtle kick of sour cherry yeast flavor, with a nice lingering spicy finish to compliment the bitterness. Score another one for Four Winds!